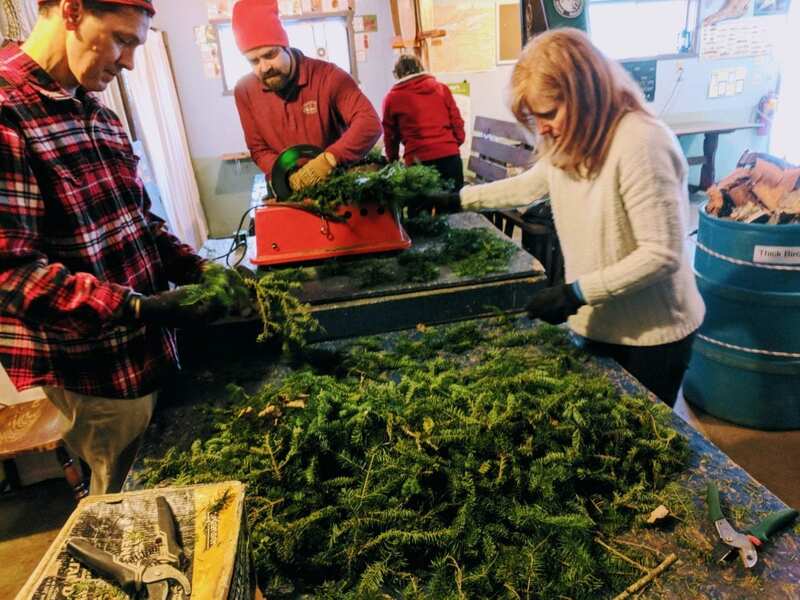 Get a group of friends and family together and head up North to go out and cut some fresh balsam boughs to use in making one or more wreaths to take home. Our Naturalist will lead you on guided hikes to help cut the branches and show you how to use our wreath making machine, with several size wreaths to choose from. While you’re here, we will be finishing up decorating the Lodge for the winter and you are invited to help with that project if you are interested. We hang garlands, put out our Santa collection, and decorate two Christmas trees. And of course you can enjoy the hiking trails laced through the back basin behind the Lodge. If snow conditions permit, you’ll also be able to snowshoe and cross country ski on the groomed trails.